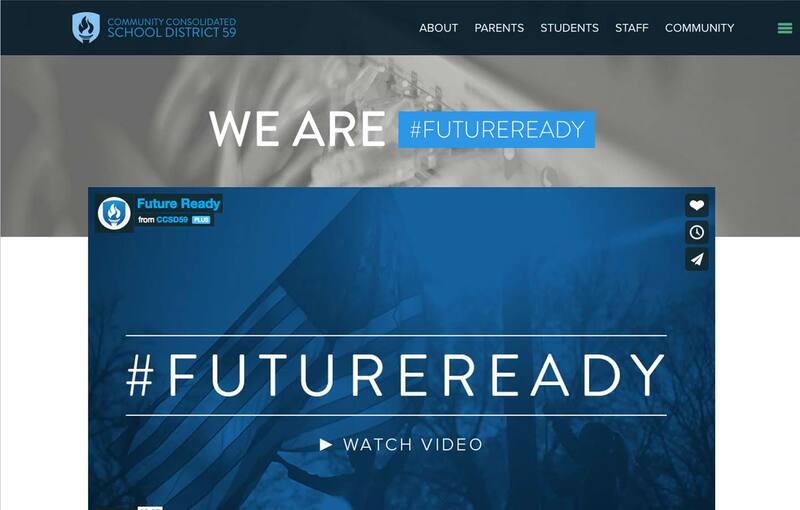 District 59 approached Schools By Floodlight to create a site that their students, parents, teachers and community would actually enjoy using. They wanted to do more than inform their community, they wanted to get them engaged. The following are ways we partnered together to achieve their goals. Created centralized News and Updates section allowing site admins to push updates to different school sites, all from one interface. Implemented imagery to help tell stories. Created teacher pages allowing teachers to communicate easily with each of their classes. Easy-to-use navigation allowing visitors to find their school from the district’s site. From the very beginning of the project, both District 59 and SBF agreed that a defined process would benefit both parties. Not only would it inform next steps, but it would help District 59 explain the project’s progression to the School Board and members of the community. The following were key steps their process. Content Planning: knowing this step was coming allowed District 59 to plan ahead as this step is time intensive and best started at the beginning of the redesign process. Working along side District 59’s IT department was a key objective for SBF. We wanted to ensure that the transition from their previous site went smoothly and all technical concerns were addressed. District 59 was recognized by the US Department of Education for innovation in online communications. Domain name management: we worked with DNS registrars to ensure the URLs for all sites were loading properly at launch. 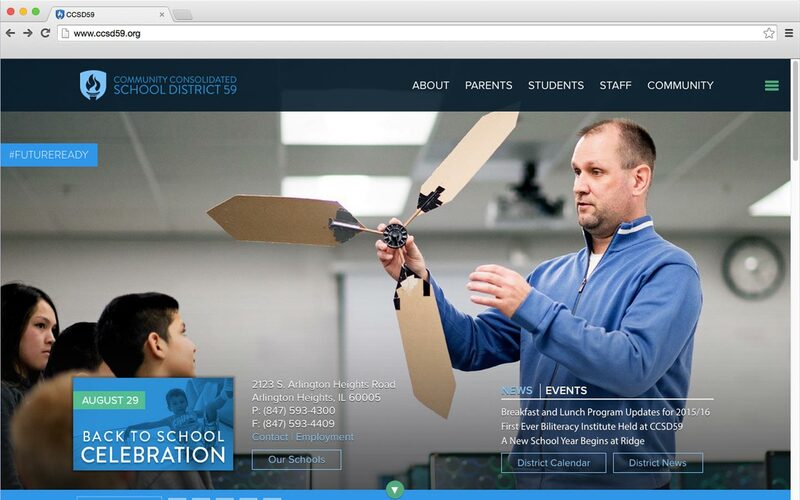 LDAP Integration: we worked with internal IT to ensure our cloud-based hosting could securely access the district’s directory for integration with the website. We evaluated and implemented security protocols to ensure secure site logins and robust defense against DDoS attacks. We evaluated website usage spikes and built custom caching mechanisms to handle frequently accessed content.